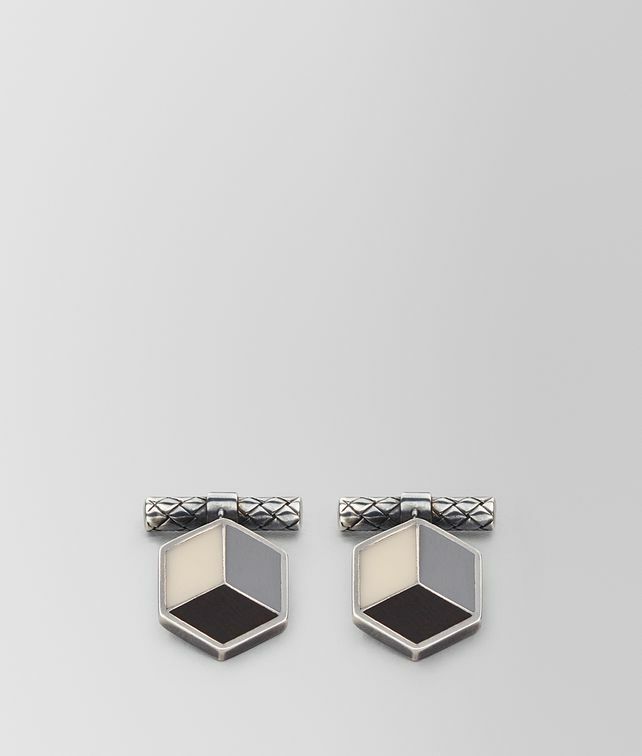 These distinctive cufflinks, featured on the Fall/Winter 18 runway, take inspiration from the iconic architecture of New York. The angular Art Deco design is crafted with sterling silver and black, white and steel-coloured enamel to create the look of a cube, this season’s key motif. The silver posts are finely engraved with the intrecciato pattern. Dimensions: 1.5 cm x 1.5 cm | .6" x .6"